All materials here are covered under copyright. To reprint any portion of this information please contact us for prior permission. Here are results of the survey as provided by 545 respondents. Do you feel you have enough heating in the winter? 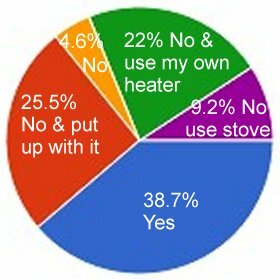 9.2% - No, and I use the stove to heat up the place more. 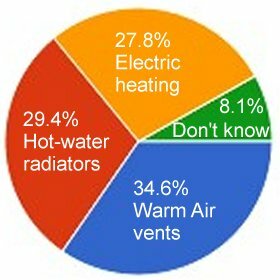 What type of heating does your rental housing have built in? 8.1% - I don't know. 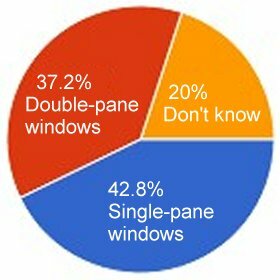 Are your rental apartment windows? 20.0% - I don't know. 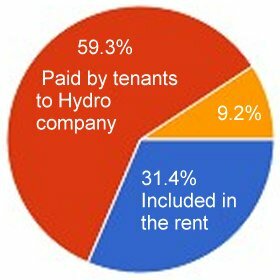 How do you pay for electricity? 9.2% - It is paid separately, in addition to the rent, to the landlord.